The Sims community expressed less enthusiasm for Sims 4 since it was released last September. It was reported that game developer Maxis sold 1.4 million copies of Sims 3 in its first week, while Sims 4 had only sold 1.3 million copies in three months. Whether the Sims fans have moved on to other games or are sticking with the third generation game is unknown, however, Maxis continues to release new Sims 4 content which makes it very different from its predecessors. One thing that sets Sims 4 apart from Sims 3 is the game's Create-A-Sim tool. In Sims 3, players get to tweak sliders to shape characters, whereas in Sims 4, one can manipulate features by clicking on their frames and faces and dragging them to make them thinner or wider, or even taller or shorter. If one wants his Sim to sport defined cheekbones or fuller lips, it can be done this way too. Not only can one build a Sims' dream home, but in Sims 4, one can adjust building and décor in public spaces too. The build controls for homes are much more intuitive too, so you can build homes faster without sacrificing the intricacies that the game has developed over time. 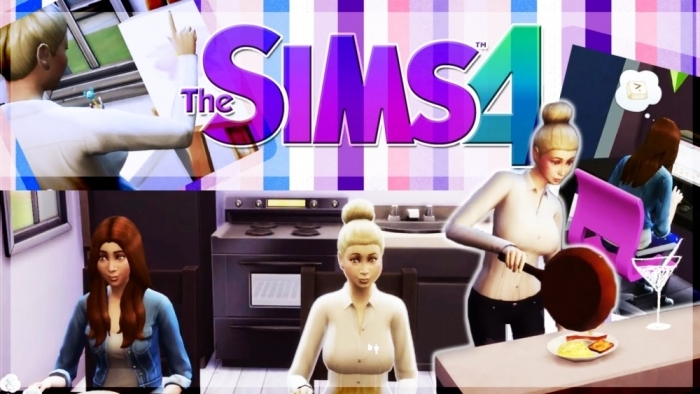 Sims 3 has five character personalities, and Sims 4 has only four, but the fourth generation game makes a character's emotional state a bigger part of the game. Different actions may result to different emotional states. For example, creative type Sims will do better if the player helps them feel inspired, or a visit to the nightclub may encourage the Sim to be flirty. Moreover, Maxis recently released new content which could satisfy the need for recreation. The Outdoor Retreat pack, which is now available through online retailers, introduces the Granite Falls National Park. "[The Sims] can venture deep into the woods to discover new surprises, including dangerous and wondrous herbs, and new species of insects," Maxis says on the official Sims 4 blog. "Let's just hope that your Sims aren't squeamish about creepy crawlers." With the add-on, the Sims can roast marshmallows, tell stories around a campfire, go on a hike, and find herbs to create remedies. It also comes with new gear for the Sims. The game developer has also announced that Sims 4 will be coming to Mac in February. In a statement, Maxis said, "All those who have previously purchased The Sims 4 on PC will be entitled to Mac free of charge. We will announce the official release date for Mac nearer the release time."